Earlier today, hip-hop artist i11evn revealed the MV for his upcoming single titled ‘Still Dreaming‘. 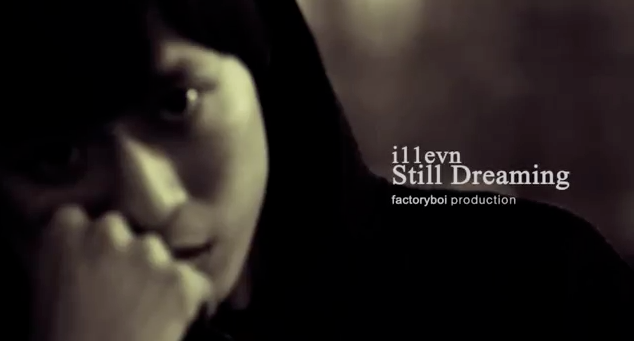 FACTORY BOi Production artist i11evn‘s new single ‘Still Dreaming‘ teaser video (directed by Analog Tag) was revealed today. The upcoming single ‘Still Dreaming’ will be available online on May 1, 2012. This entry was posted in Videos and tagged analog tag, eleven, factory boy production, i11evn, still dreaming. Bookmark the permalink.